I'm done with most of my Christmas shopping so it's time to start wrapping! I love wrapping presents! I think my appreciation for a beautifully wrapped present comes from my mom and older sisters who have always wrapped presents so perfectly. 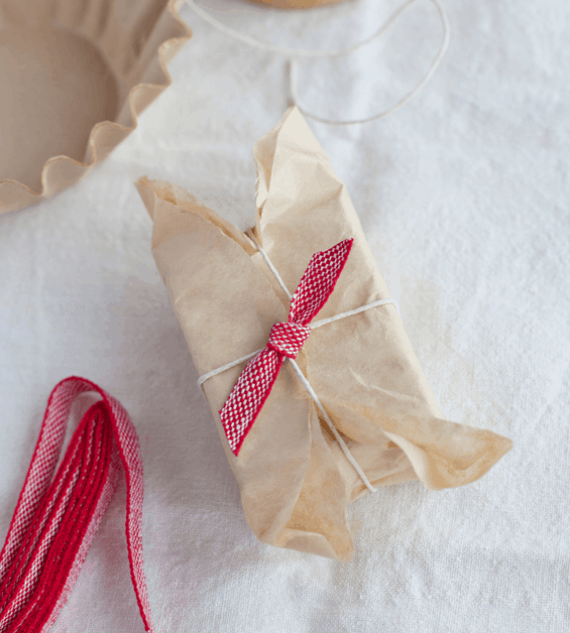 I love finding new cute and creative ways to wrap presents, whether it's using different embellishments or even unexpected things from around the house. Scrabble tiles on a shipping label to make a gift tag! P.S. Have you entered to win a necklace from Shabby Apple? Off to enter the giveaway! 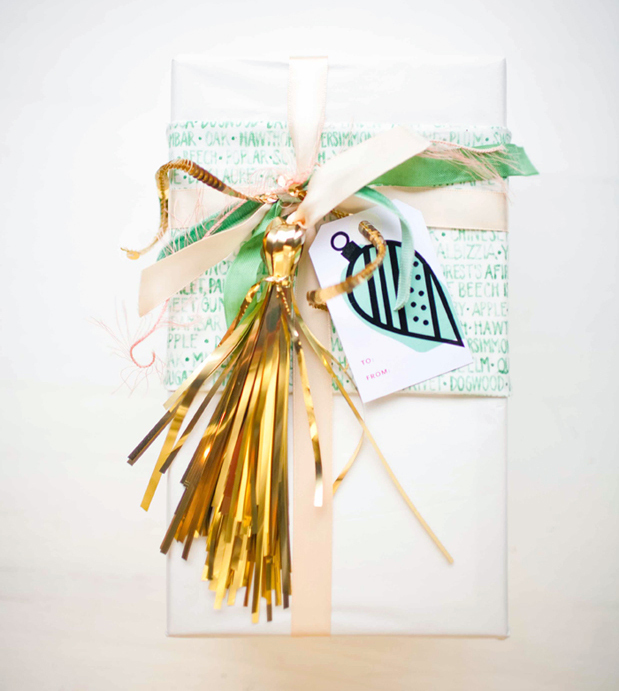 I love all of these gift wrapping ideas! I am terrible at gift wrapping though! My go to wrapping is a fun bag with tissue paper! Maybe I just need some practice! I needed these ideas! I was just telling my friend that I'm naturally a crafty person, but for some reason I find it hard to put so much energy into something that's going to be ripped to shreds! Lovely photos- thanks for the holiday inspiration! What fabulous wraps! Some of those are too pretty to ever open! Sooo many cute ideas! Pinterest has given me so many ideas its ridiculous! Perfect timing, I've been day dreaming all week about how I wanted to wrap my gifts this year! Definately lots of nice inspiration here! These ideas are so pretty! I would be hard to rip into these gifts! 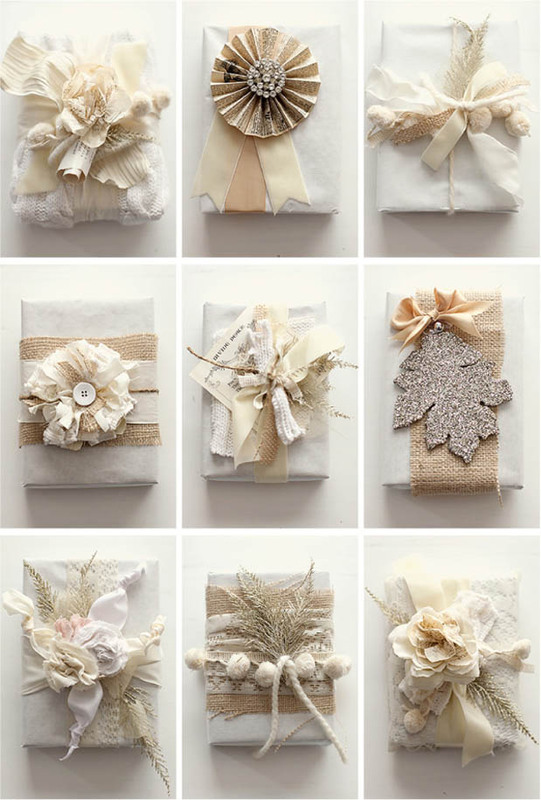 What great ideas for wrapping! I especially love the coffee filters! Who would have guessed how wonderful they would look as wrapping paper. i love pretty wrapping!! these are all fantastic ideas! great ideas!! love the tinsel tassel and the red/black/white wrapping! I love wrapping Christmas gifts! :) These are all so cute! Cute. I always overlook the wrappings. These are adorable. I very often buy a bag, add some tissue paper and call it a day. I am so not creative with wrapping paper and bows and such. I do admit, we often make our own tags and that's always fun. 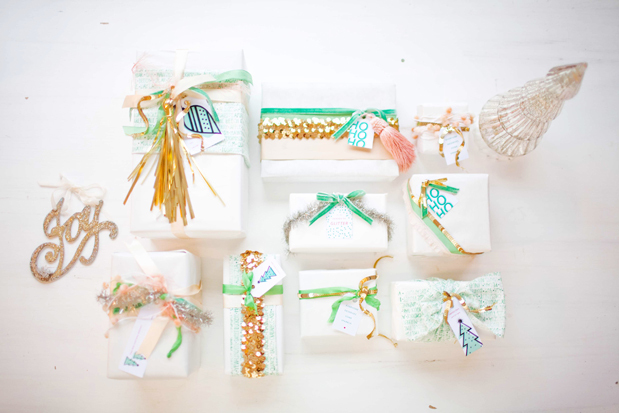 Wrapping gifts is SO much fun - love all of these ideas! i've been thinking of getting some small brown bags and decorating them with stamps, tying with bows, to give it a more handmade feel. love all of these ideas! I just purchased all my wrapping paper and ribbon tonight. If we were neighbors, we would so be having a wrapping party! Wrapping gifts is a lot of fun! This year, I used plain brown papers, jute, and stamped tags to wrap my presents! So simple, but so lovely! The scrabble tiles are such a fun idea! I love the monochromatic look especially with all of those lovely embellishments! Love the twine and plain old craft paper this year. Simple but pretty! Since you love wrapping gifts so much, I'll let you wrap my gifts! You know, the ones I haven't even bought yet? All of these are so pretty. Now if only I could get my shopping done! I love the Monochromatic look! AMAZING! I love gift wrappinI hate thinking about doing it but them when I get to work I remember how fun it is!